This classic country Style walks the line between great and terrific. It’d sure be cool with us if you enjoy this mid-tempo country Style, featuring expressive acoustic and electric guitars. An upbeat, modern country pop Style that is sure to make your audience smile. A throwback American Country style with a laid-back feel. This bluesy, classic American style is down at the end of lonely street. Shake it up with this early-60’s British Invasion pop Style, featuring chimey electric guitars and natural-sounding acoustic drums. A romantic 6/8 ballad Style fit for a King. Smooth choir sounds and bell accents accompany realistic acoustic bass, drums, and piano. Based on a chart-topping rock song, this high-energy, guitar-driven Style captures the rebellious spirit of the late 60’s. It’s 1960 all over again, and time to start twisting! This classic late-50’s rock and roll style is sure to get people going. Pa900 has a similar preloaded Style- We recommend downloading this for Pa600 or Pa3X models. You’ve got to be a part of it! This brassy big-band Style is perfect for singing about the Big Apple. This driving, anthemic rock Style feels like home sweet home. This modern pop Style might sound like something that you used to hear. A modern pop Style based on a song by a popular singer from Barbados. Play along with aggressive synth leads in the right hand. Make the most of the night with this dancey, modern pop Style. This energetic modern pop Style creates a soundscape of acoustic and electronic percussion, dynamic acoustic guitars, and ambient synths. This upbeat, infectious pop Style is always a good time. A modern pop Style with a very danceable groove. Fair warning: Your audience might start blowing you kisses. This modern pop Style is sure to encourage toasting. Distorted guitars and a driving beat accompany synth leads and pads. This modern dance pop Style will give your Pa-series the moves! A modern pop/reggae Style that will keep your audience dancing for just one more. An alternative rock style with soul and dubstep influences. Make sure to try all the variations! A classic 6/8 R&B ballad style that’s perfect for a happy couple. With its soulful, instantly-recognizable bassline, the “temptation” to sing along to this classic R&B Style is very strong. A smooth, downtempo 6/8 Style remeniscent of popular 50's soul tunes. A recognizable, seductive Style that's perfect for slowing things down on the dance floor. This inspiring Style commands respect. Find out what it means to you! This download contains 82 Styles and 37 Sounds useful for traditional and modern Indian music. It is compatible with the Pa600 Professional Arranger. Please click here for a complete list of the included Sounds and Styles. Note: When you purchase these Styles, you will receive a .ZIP file containing a .SET file which can be loaded onto your Pa600. A microSD card will also be mailed to the address specified in your account. The .SET file can be loaded onto your Pa600 via USB media, but you MUST have the microSD card installed in order to access the content. Please refer to your Pa600’s documentation for instructions on loading content from USB media and installing the microSD card. 94 Styles and 48 Sounds/Performances useful for Indian music. A collection of 40 Styles and 54 Sounds useful for Persian music. This download contains 40 Styles and 54 Sounds useful for Persian music, including 48 new drum/percussion samples, 38 loops, and 90 instrument samples. It is compatible with the Pa600 Professional Arranger. Note: When you purchase these Styles, you will receive a .ZIP file containing a .SET file which can be loaded onto your Pa600. A microSD card will also be mailed to the address specified in your account. The microSD card is required to play the included Sounds and Styles. This download contains 40 Styles and 54 Sounds useful for Persian music, including 48 new drum/percussion samples, 38 loops, and 90 instrument samples. 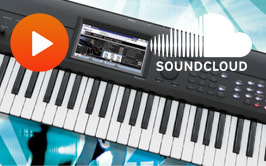 It is compatible with the Pa900 Professional Arranger. Note: When you purchase these Styles, you will receive a .ZIP file containing a .SET file which can be loaded onto your Pa900. A microSD card will also be mailed to the address specified in your account. The microSD card is required to play the included Sounds and Styles. A FREE collection of 32 Styles useful for playing Mexican and South American music. Please click here for a full description of the contents. A FREE collection of 22 Sounds and 19 Styles useful for playing Peruvian music. Please click here for a full description of the contents. Although the .SET file is named "Pa 900", the file is fully compatible with the Pa600, Pa900, and Pa3X. A collection of 150 Styles, 228 Performances, and 158 Sounds useful for playing classic and contemporary German, Austrian, and Swiss music. Please click here for a list of contents. A collection of 204 Styles, 251 Performances, and 162 Sounds useful for playing classic and contemporary German, Austrian, and Swiss music. Please click here for a list of contents.